This Halloween, a high school vice-principal in Montreal sparked outrage over his use of blackface for his costume. Jocelyn Roy, the administrator in question, showed up to Collège de Montréal dressed up as Jamaican reggae icon Bob Marley for a Halloween costume parade. This ended up offending many students. Given that Roy’s use of blackface wasn’t well received by students at his school, he quickly removed both the costume and the face paint. He later apologized for the incident. There is a long history behind blackface. More than a century ago, Montrealers attended minstrel shows at local theatres for entertainment. People would gather to watch these musical comedy performances, which featured white actors wearing black face paint, according to CBC News. Blackface minstrel shows originally started in the United States, but were common in Quebec from the late 19th century up until the 1950s, according to the same source. Historically speaking, blackface was born from discrimination against black people and against integrating actors of colour on stage. According to CBC News, Blackface minstrel shows never failed to sell out theatres—even after they fell out of fashion among professional theatre troupes. In the 1920s, these minstrel shows experienced a revival within several Montreal communities since they were considered cultural events for white audiences. Ever since blackface first emerged as a theatrical art form, it has ridiculed people of colour. White performers portrayed slaves and free blacks, while using insulting and degrading stereotypes about black people. Examples of these include the aggressive man with his lustful eye on white women or the freed slave who couldn’t pronounce his words correctly but aspired to be part of high society, according to Esquire. All in all, blackface humiliates black people, but it also desensitizes white audiences to the hidden horrors of slavery. I believe Quebec has a bad reputation surrounding racism. A book that explores Quebec’s relationship with anti-black racism and provides more insight on the issue is Policing Black Lives: State Violence in Canada From Slavery to the Present by Robyn Maynard. I believe instances of blackface and general anti-blackness are still common here, given that the province is renowned for being rather inconsiderate towards unfamiliar races and ethnicities. An example is Quebec’s problem with racial profiling. Part of the blame might also be directed towards the French-Canadian media and their lack of attention towards the insensitivity of using blackface. 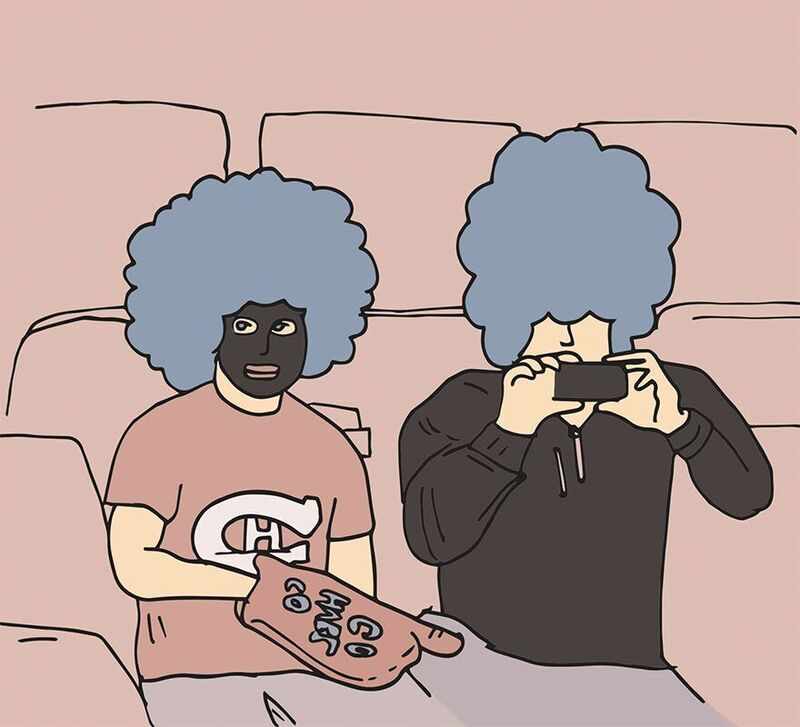 As recently as 2015, a Quebec actor wore blackface to portray hockey player P.K. Subban in a comedy sketch, according to The Globe and Mail. Despite its comedic intent, the use of blackface is blatantly racist and disrespectful towards black people. Even though it is nearly 2018, many people all over the world still think it’s acceptable to paint their skin a darker colour while pretending to be a different race. Race relations in North America still remain fragile, after several killings of black men and women by police officers in the United States and Canada’s own alarmingly high number of black prisoners, according to the Toronto Star. Nowadays, the use of blackface is highly frowned upon. It does not celebrate, honour nor pay homage to any culture or ethnicity. Overall, I believe it’s important that people, not only in Canada but also around the world, become more conscious of blackface, because it is just part of the larger issue of anti-black racism.